Our discussion of communism will have to wait … because post-socialist Bosnia is erupting in rebellion! In this episode, we share two interviews with anarchists from the Balkans reflecting on the current uprisings, along with recent updates and a Bosnian hip hop artist's protest anthem. An Ex-Worker travels to Lima, Peru and sends back a report on a recent anarchist book and propaganda fair, including a group shout-out from a workshop about the podcast, live interviews and musical recordings. 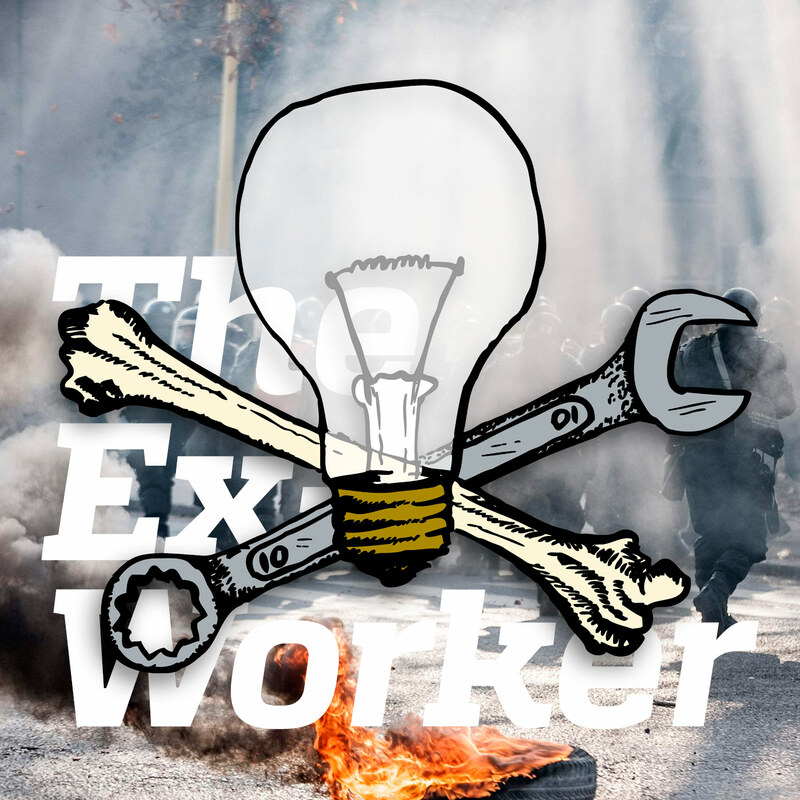 Listeners critique our treatment of market anarchism, an eco-defense prisoner explains police tactics, and news on state repression, prisoner strikes, and anti-extraction struggles round out our exploration of resistance to authority around the globe. You can read the interview we shared with Balkan anarchists on the uprisings in Bosnia on the CrimethInc blog. Updates since the interviews were published include demonstrations in Banja Luka—where first-hand accounts tell us the crowd was much larger than reported in the media—and Skopje, Macedonia Read more Bosnian coverage from anarchists and translations into English of various protest files, as well as the Insurgent Notes article. Burning, burning, Babylon is burning. You are burning and I am burning. Other anarchist audio projects include The Final Straw (weekly, hour-long interview-based radio show out of Asheville, NC), The Black Mask (hour-long radio show with local/Canadian and labor focus out of Winnipeg, Manitoba), John Zerzan’s Anarchy Radio (green/anti-civilization focus), the Horizontal Power Hour (interviews and talks on various radical topics, out of Connecticut; currently on hiatus), the Audio Anarchy archive (recordings of works by Fredy Perlman, Emma Goldman, Alfredo Bonanno, and even CrimethInc), Another World Is Possible (recordings of a wide range of classical and contemporary anarchist texts, available via iTunes), Authority-Smashing Hour (Louisville, KY-based talk show) and The Circled A (UK-based discussion radio show). You can also find audio recordings from the Irish Worker’s Solidarity Movement, the German-language Berlin Anarchist Radio, TCN Radio, and The Floodgates of Anarchy. Which Side is a vegan anarchist podcast. You can also browse the Anarchopedia list of podcasts, the Anarchy 101 discussion on podcasts and radio, or the various Reddit threads on the subject. Did we miss any? What’s your favorite anarchist radio show or podcast (besides us, of course)? Drop us a line to podcast@crimethinc.com. Check out the CrimethInc blog report on the Lima, Peru Anarchist Book and Propaganda Fair for more stories from the event we covered in this episode. Keep an eye on the Free the NATO 3 support site for updates on their sentencing. Call Illinois prison officials in support of the prisoner hunger strike in Menard Correctional Center; you can also read a letter from one of the striking prisoners. Want some ammunition for your debates with free market “anarchists”? Learn more about anarchist economic perspectives by checking out some of these sources. Proudhon and Kropotkin wrote plenty on the subject. Economic anthropologist and anarchist David Graeber’s writings – especially Debt: The First Five Thousand Years – are a great place to start, as well as the AK Press anthology The Accumulation of Freedom. There’s also Anarchy Works by Peter Gelderloos, which has a chapter on the economy. For feminist critiques of capitalism and care labor, try the works of Sylvia Federici, Maria Dalla Costa, Maria Mies, and Precarias a la Deriva. And of course don’t forget about Work: Capitalism, Economics, Resistance by some other ex-workers. Upcoming events include the Kitchener-Waterloo Anarchist Book Fair on March 1st, a Washington, DC protest against AIPAC on March 2nd, protests commemorating the three year anniversary of the Fukushima nuclear disaster on March 11th, environmental defense spring break gatherings in Virginia, northern West Virginia, and northeastern Pennsylvania across the month of March, and International Day Against Police Brutality demonstrations March 15th in Oakland, California, Portland, Oregon, and Hamilton, Ontatio, among other cities. News briefs on the Hot Wire included the conviction of the NATO 3, the trial of Debbie from the Blackmail 3, sentencing of extradited G20 prisoner Joel Bitar, the Menard, Illinois prisoner hunger strike, solidarity actions in Bloomington, Indiana and Seattle, Washington in support of Amelie, Fallon, and Carlos, anarchists imprisoned in Mexico; resistance to logging in Sinixt territory, anti-mining struggles in Morocco and Brazil, the French attack on a church with fascist ties by GADI, a sniper attack on a Silicon Valley power station, the Center for Constitutional Rights legal challenge to the Animal Enterprise Terrorism Act, and the New York Police Department testing Google Glasses. Note: this address may change after sentencing on March 5th. Stay posted via the MI CATS website.